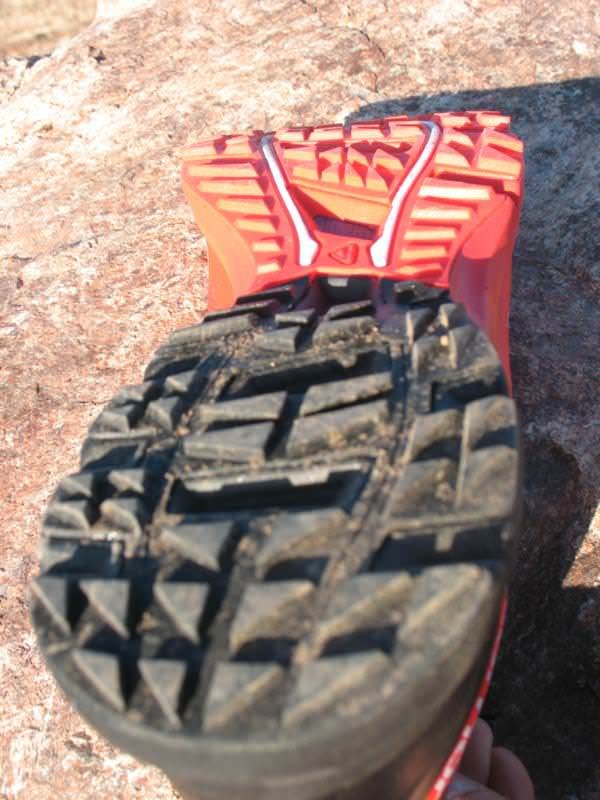 Deeper lugs have improved traction and aggressiveness of the shoe. Improvements to the midsole have increased the shoes cushioning and durability. Although the price has dropped slightly from the original Sense, the current price tag is still a bit of a sting for many runners. 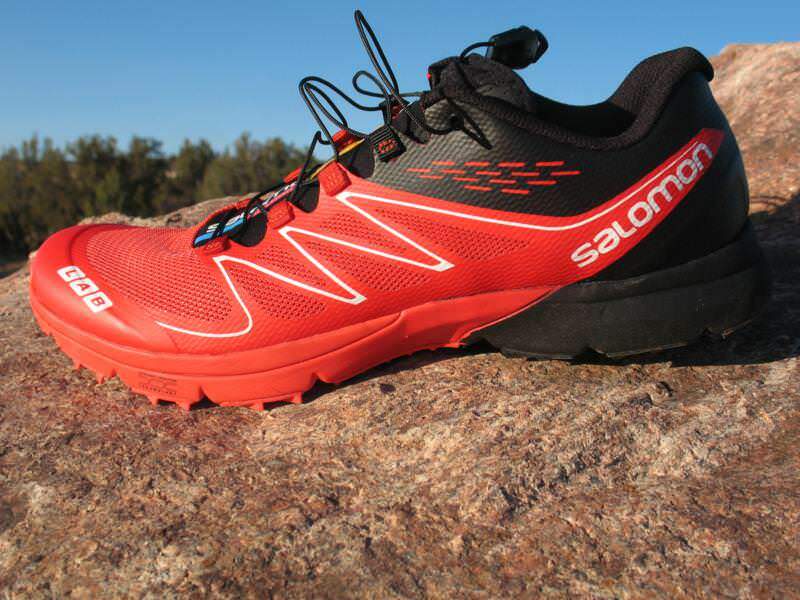 Salomon has made some incredible strides by introducing the all new Sense Ultra, complementing their current roster of shoes considerably. I can say with great confidence that anyone who laces up a pair will love them as much as I have. 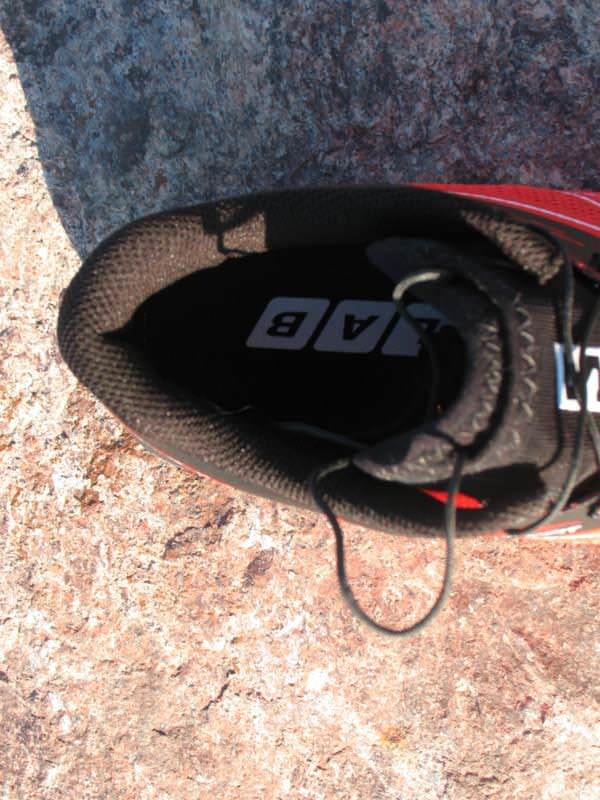 Natural efficient trail runners with a midfoot to forefoot Strike. 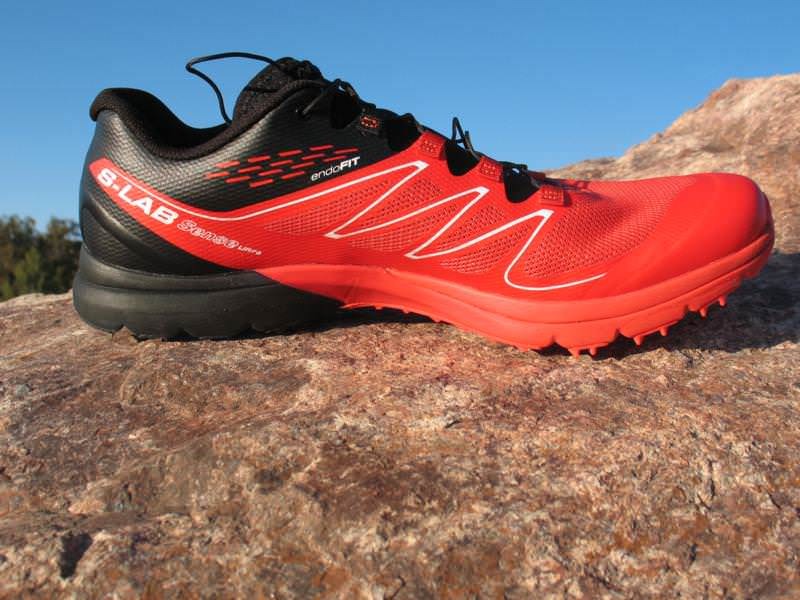 The Original S-Lab sense was a shoe designed for Ultra runner Killian Jornet, built specifically for ultra-distance racing, vertical kilometer, and all the training that is associated in between. The Sense Ultra is a brand-new shoe built for distance–featuring a more durable design, midfoot protection, and tougher cushioning materials. This new offering from Salomon sports deeper lugs, plentiful cushioning, and with those also comes some additional weight. These design elements should not only enhance the comfort of the shoe, but its durability and adaptability to a larger crowd of runners. 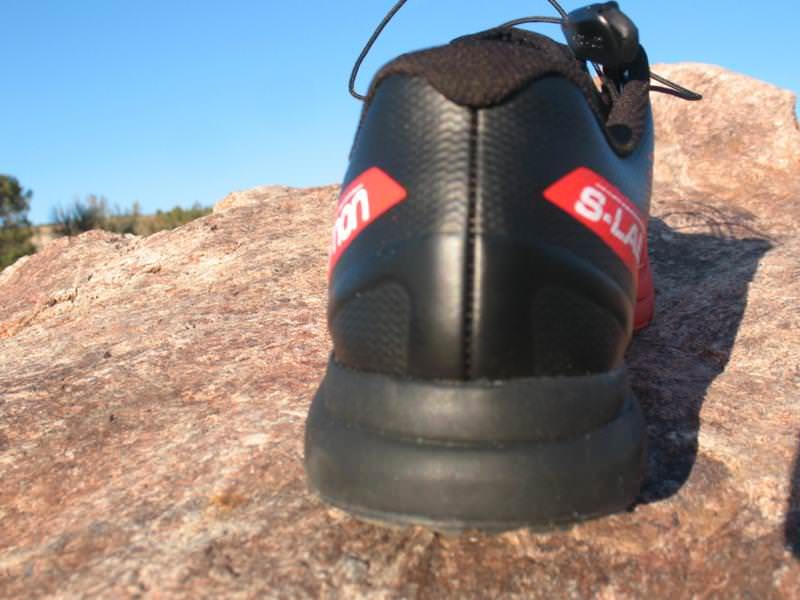 The biggest feature of the Ultra is the increased thickness of the midsole unit of the shoe. 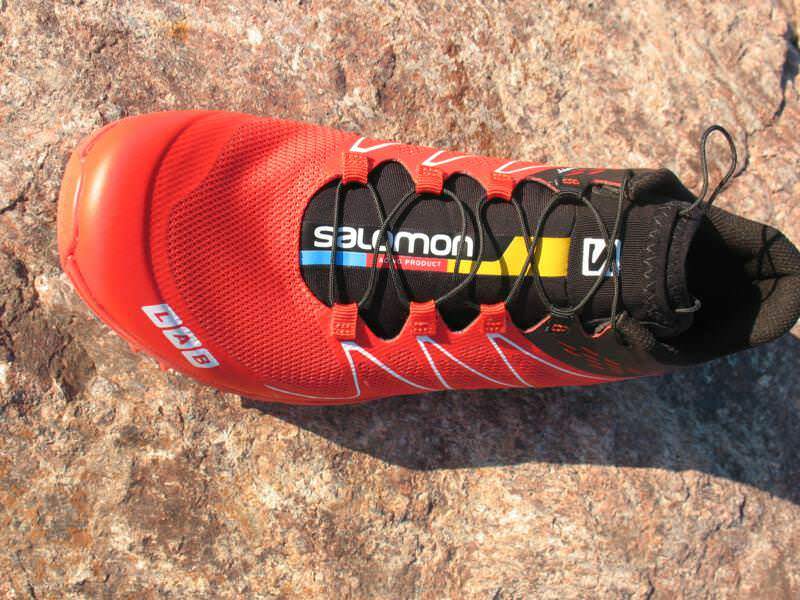 When designing the Sense, Salomon engineered a stack height of 9mm in the heel and 5mm in the forefoot. When it came time to design the brand-new Sense Ultra, they graciously more than doubled the amount of EVA in the Ultra to 19mm in the heel and 14mm in the forefoot. By doing this should hopefully increase the shoes life expectancy, and also reduce runner fatigue at greater distances which seemed to be a concern by some. I know for myself I appreciated the additional cushioning particularly as my distance increased. I also found the proprioception to be superb in my outings as well. Another nice addition to the midsole was the addition of a layer of ProFeel Film that extends further back into the midfoot to beef up the rock protection of the shoe. While this may leave many concerned that this may limit the flexibility of the shoe rest assured that it has not. The protection that this addition offers I think well be welcomed by most runners as it was I, particularly when getting into more jagged and aggressive terrain. Finally we move into the evolved lugs and outsole. Any runner that has laid eyes upon the Sense will notice that the lugs of the Ultra are noticeably deeper. However, the differences don’t stop there as the Ultra boasts additional lugs in the midfoot and forward part of the heel–reinforcing the shoe’s appeal for rugged daily training. This addition really provided the shoe with excellent traction in all conditions, and also makes the shoe more appealing to those runners that don’t have a forefoot strike. Additionally, the OS tendon stretches further back into the midsole on the Ultra, providing a bit more structure than the Sense model. The upper of the Ultra is quite similar to the Sense, with the only noticeable difference that being a bump-out in the Exo-Skin over the big toe area. This may be to help reduce some delamination issues I noticed within the Sense line, while also adding protection. If it helps eliminate the chances of a blackened nail then I will say it’s the best improvement they have made. The Endo-Fit structure of the shoe provides superior midfoot structure giving the shove a glove like fit. I will warn most of you that it is a bit of a struggle to put the shoe on, but once on the Ultra feels like it was naturally intended to be there due in part to the seamless overlays. The Ultra adopted the same Quicklace system as used in the Sense, which makes on and off lacing fast and simple. The open mesh of the upper kept the shoe nice and breathable and quick drying as well. While the Ultra is just over 1oz heavier than the Sense, it stands apart as a rugged trainer which complements the Sense lineup well. The Sense Ultra remains still an awesome light-weight and super flexible shoe that will far outlast the Sense in the mileage department–a design element that excels in the new shoe. I really appreciate how comfortable this shoe is and its ability to adapt to any terrain. I definitely feel confident that I can tackle any terrain in this shoe and remain blister and pain free. The thing that I appreciate most about the shoe is that all that is wonderful about it is accomplished with minimal materials. The shoe boasts no unnecessary additions or over engineering and is simple and seamless. I can say with great certainty that past wearers and new ones alike will be just as impressed with this shoe as I am. 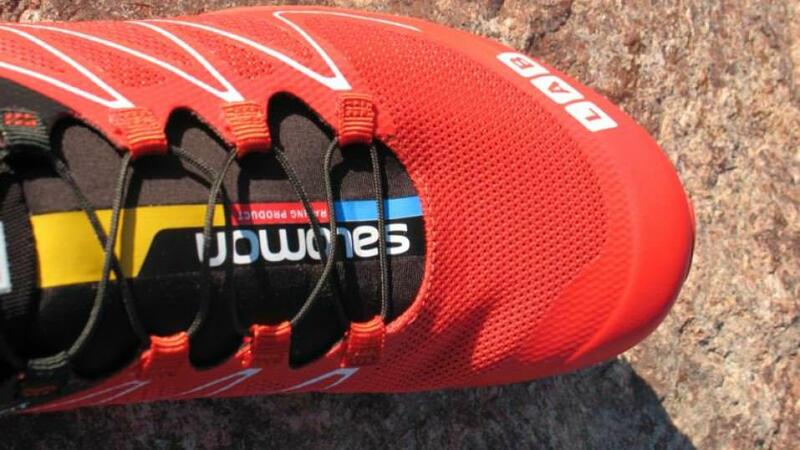 We thank the nice people at Salomon for sending us a pair of S-Lab Sense Ultra to test. This did not influence the outcome of the review, written after running more than 50 miles in them. What do you think about the protection of the s lab sense? 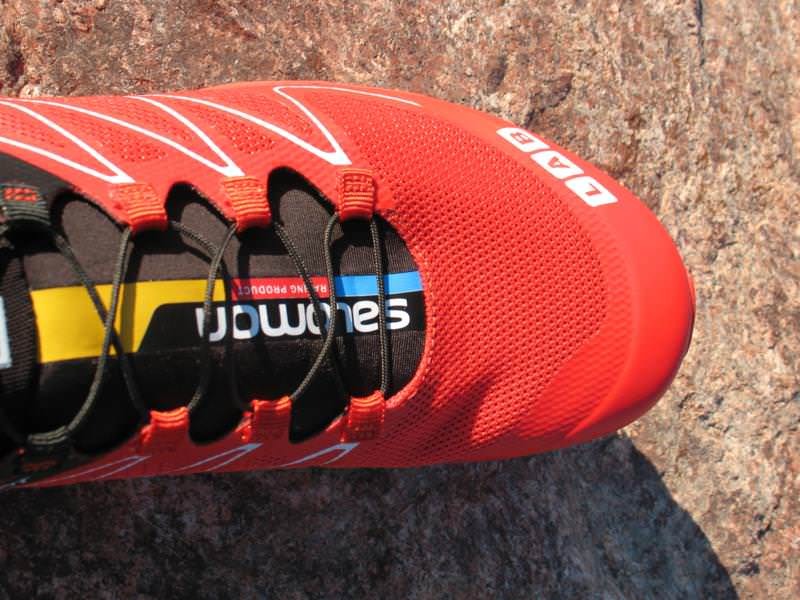 I wore the SpeedCross model and found it very hard, but with this shoe i feel the terrain wich is good but sometimes it could be very agressive. I have had these shoes for about 6 months using them on and off. Probably covered about 100 miles and they are falling apart, more specifically the sole with the thin grippy rubber layer disintegrating and leaving the cushioned inner layer exposed. Both pull cord laces have also snapped. Disappointed as a friend of mine had the previous model and they have held up well. Hi there, how have you found drainage following water crossings please (if you have crossed any!)? 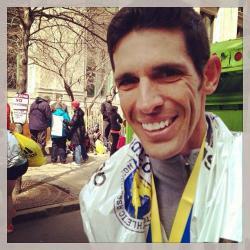 How many miles have you gotten out of the ultras? The durability is the only thing holding me back. Hello Brad thanks for the question. I have over 100 miles so far on the Ultra’s and they are showing no signs of wear that I would consider heavy. In fact I feel that are holding up quite well I have put them through just about every condition possible from caprock to mud and they are holding up just fine. At this point I would feel comfortable in saying that they could hold up to 400 miles and possibly more. Hope this helps.